A.T is an Australian-owned company that makes all sorts of fun, quirky objects for the home, including this multi-purpose Beach Throw. Take it on a picnic, to a party, or just soak up the sun at the beach – a must-have accessory for the summer. 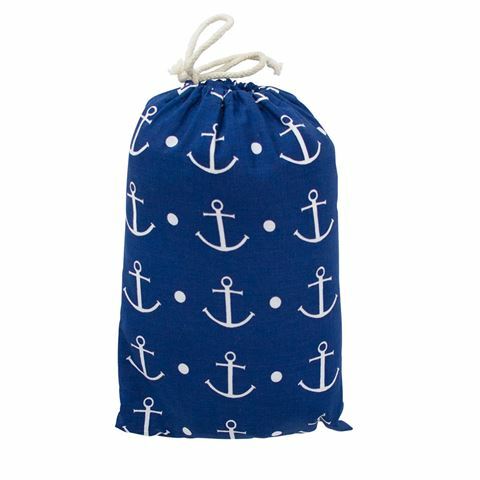 Better still, if the wind suddenly picks up, or someone's dog goes rogue and dashes across the throw, it'll stay in place: four pegs are included to secure the throw in the sand, and it all stores tidily in a matching drawstring bag. Includes four pegs to secure your throw to the sand. Stores in a matching drawstring pouch.